WASHINGTON — While I was a reporter at the Detroit News covering the federal courthouse in downtown Detroit, FBI agent Herman Groman left his mark. 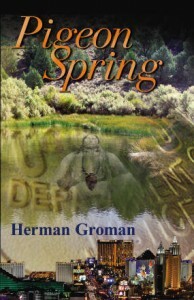 When the FBI ran a massive sting that netted a number of crooked local judges, Herman Groman was in thick of all of that. A few years later, when the FBI conducted an undercover sting and got a bunch of crooked cops to provide protection for fake cocaine shipments, Groman was in the middle of all of that as well. Not only were cops convicted, but so was the common-law brother-in-law of then Mayor Coleman A. Young, who helped recruit some of the cops. Groman eventually went off to the Las Vegas FBI office, where he went undercover, posing as a mobster. In other words, if there was danger and excitement, Groman was often involved. Now Groman, who has since retired from the FBI and is the director of security for a Las Vegas hotel/casino, has taken all that knowledge and excitement and penned his first novel, a suspense thriller called “Pigeon Spring” that stars a fictitious lead character Matt Steel, who happens to be an ex-FBI agent who is director of security at a Las Vegas hotel. 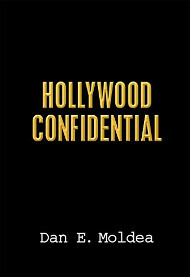 I should mention, for full disclosure, that I wrote one of the reviews on the book jacket before the book came out. So did entertainer Wayne Newton, ex-FBI agent Joe Pistone (aka Donny Brasco) and NBC’s Chris Hansen. The book goes on sale on Tuesday. Posted: 5/17/10 at 11:43 PM under FBI, News Story.